Heating, cooling, power and filtration system. 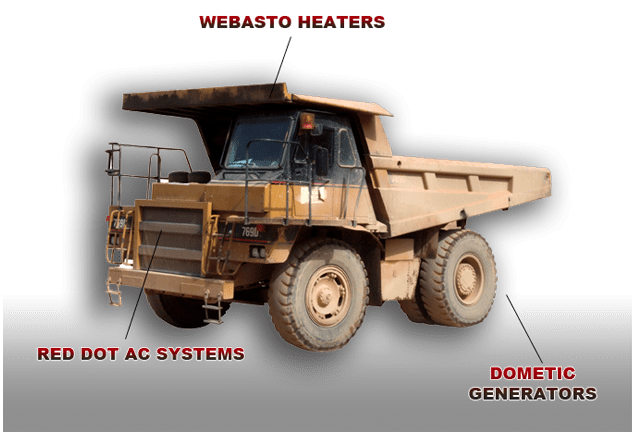 Dealers for Dometic, Webasto and Red Dot. Off highway and extreme environment a speciality.